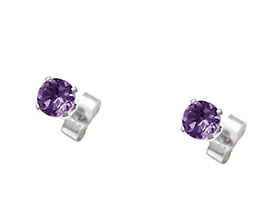 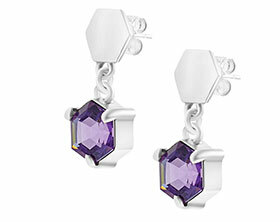 These Sterling silver earrings hold beautifully facetted 4mm amethysts in six claw settings. 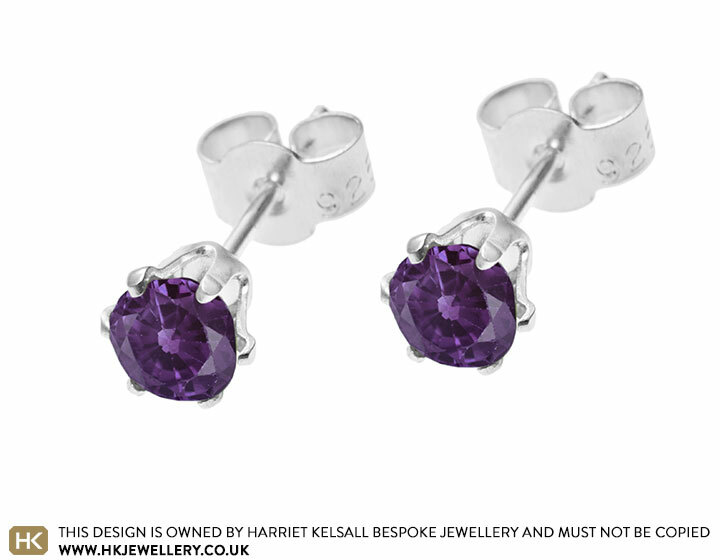 Palladium diamond and Ametyhst earrings. 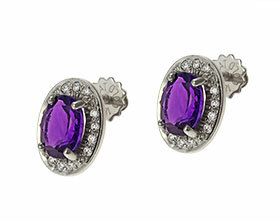 Organic shaped amethyst pendant with rose quartz and garnet.